Dan Ross is a leader in his support for GIS education. Dan served the GIS/LIS Consortium as chair (1999) and conference chair (1997). Under his leadership, the Consortium began the Spring workshops and started the process of rotating its conference to St. Cloud and Duluth in addition to the Twin Cities. Both initiatives added educational opportunities for GIS professionals and strengthened the vitality of the Consortium. 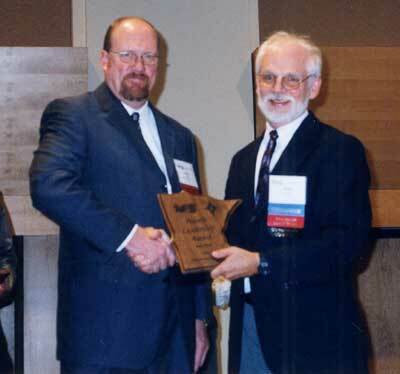 In 1998, Dan initiated the internationally recognized Minnesota GIS/LIS Salary Survey - the results helping professionals to see where they needed to add education to improve their value in the workplace. Perhaps Dan’s biggest contribution was the initiation of the Consortium scholarship program - now supporting students in five colleges and universities across the state - helping to develop the GIS leaders of the future. At Mn/DOT, Dan is one of the key players in getting the department’s valuable BaseMap on the web and he is currently co-leading a GIS project to develop a stable transportation model for Mn/DOT; as one might expect, this program is being done in partnership with colleges and universities as well as local government.